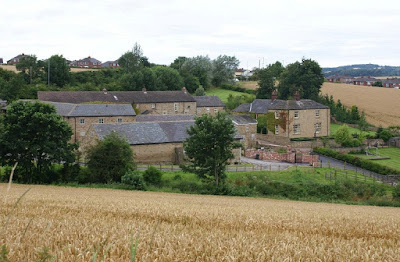 Rotherham Council is bidding for the potential development of Bassingthorpe Farm to be designated as a Garden Village and score funding from the Government. As part of the Local Plan core strategy that was adopted by the Council in 2014, the 215 hectare area close to Rotherham town centre has been removed from the Green Belt and designated as a Strategic Allocation and the main location for new housing, employment and retail growth. 2,400 dwellings could be joined by 11 hectares for employment use. Around 57 hectares (26%) of the site is under Rotherham Council's ownership. Rotherham Council has been leading on the proposals for a number of years, and is working collaboratively with major landowner, Fitzwilliam (Wentworth) Estates, on how to bring forward the project. The Council continues to develop its residential strategy for the site, which could cost over £350m to deliver, and has submitted a funding bid to the Government's Garden Villages programme. The Government will support local areas that embed key garden city principles to develop communities that stand out from the ordinary and will back attractive, well-designed places with local support. Garden villages must be a new discrete settlement of 1,500 – 10,000 homes with a proportion of starter homes. The Government will provide a tailored package of support that could include a limited amount of funding and direct support from the Homes and Communities Agency (HCA). Flexibilities on funding and planning may also be afforded to winning bids. Successful expressions of interest could then have priority access to other Government funding such as the Starter Homes Fund, Help to Buy and funding for affordable housing. With funding from the HCA, consultants have been working on different aspects of the development and the Council is preparing to make a key decision on a potential property disposal of land forming Bassingthorpe Farm. The project has previously been looking to engage "a promoter who could bring skills, financial resources and knowledge to the partnership to facilitate delivery." Commissioner Julie Kenny is set to decide later this year whether to agree the marketing and disposal of the strategic site and member consultation. Garden village ?Be more like a ghetto more like!